Here we will show how to perform a basic service on a King quad 750. We will include an oil / filter change, and differential lubricant change. We will also service the rear drive lubricant. It should be noted that most ATVs take a 75W-90 or 80W-90 drive lubricant. The Suzuki 750 DOES NOT take a gear lube in the rear end. Instead a wet brake compatible oil should be used. I like to remove the entire skid plate assembly. 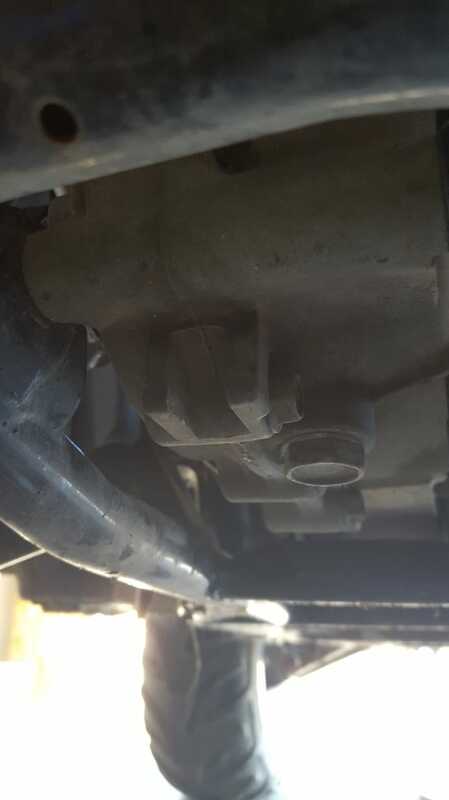 The oil change can be performed without removal, as it has a whole for the drain plug but now is a good time to remove it and clean between the skid plates, and inspect parts normally covered up. It also makes it easier to service the differentials later as well. 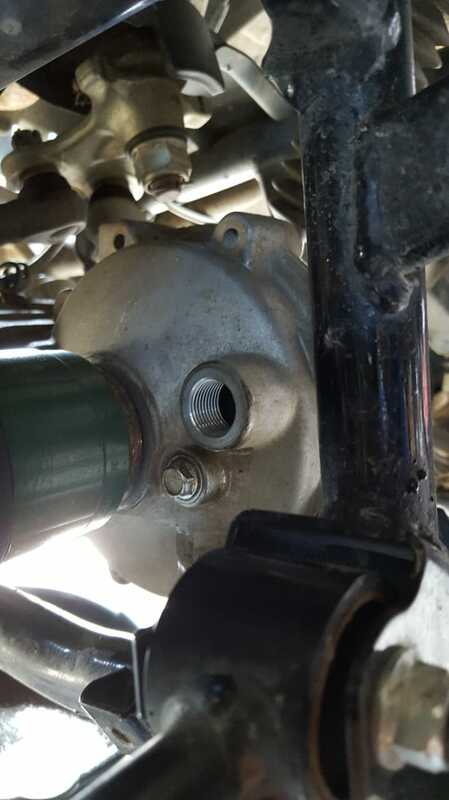 We will start by removing the oil form the crank case. 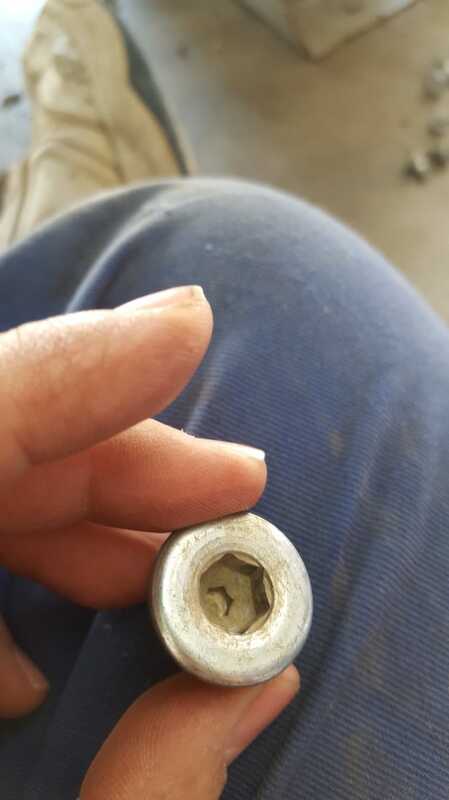 Remove this drain plug and have a drain pan ready. It is reccomended to warm the engine up before changing the oil for two reasons. First, operating the engines makes sure all contaminants are suspended in the oil. and will be drained out. Second, warm oil flows easier than cold oil. I like to let the engine oil drain as completely as possible. Now is a good time to start taking the oil filter off, or start draining one of the differentials. It is VERY important to oil this seal. Use fresh clean oil form your new container. Oiling the rubber seal promotes a good seal, preventing leaks and also prevents the rubber from getting stuck. 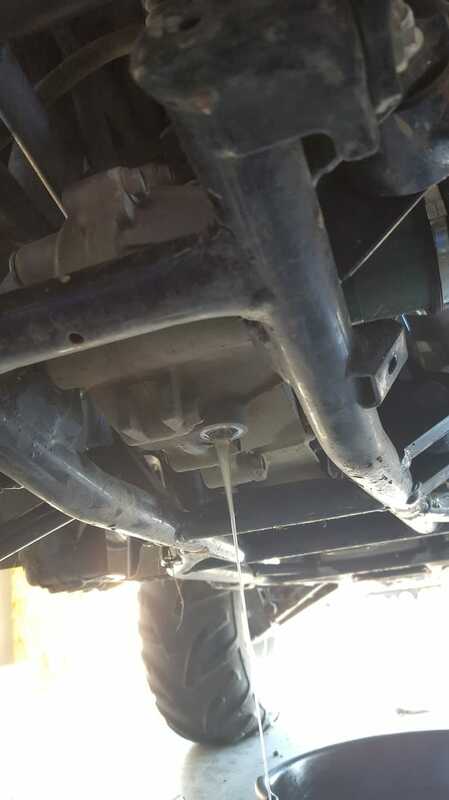 If you dont oil it, you will wish you did when you cant get it off at the next oil change! 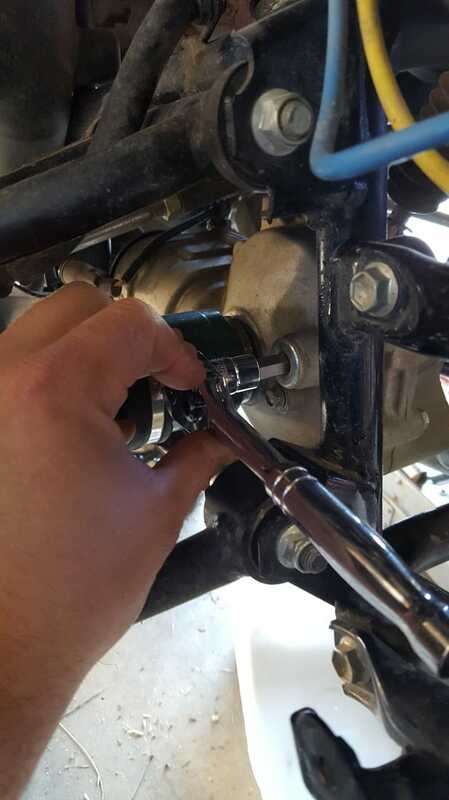 The oil filter should be installed hand tight, a wrench is not required to Install the oil filter. 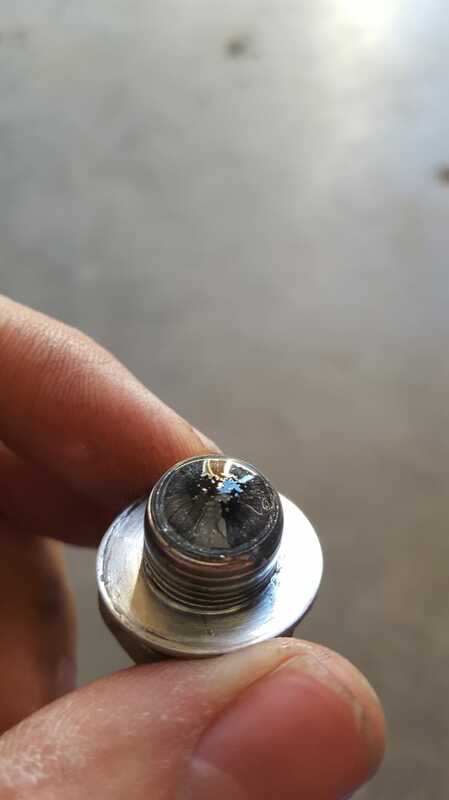 It;s a good idea to clean the threads on the drain plug before installing it. Makse sure that no grains of sand are stuck to the threads on the plug, or the female threads on the engine. Suzuki Reccomends replacing the washer on the drain plug at every oil change. I have yet to replace this washer and have not had any issues. If you choose not to replace it, inspect it for damage, and check for leaks after the oil change is completed. This side panel must be removed to check the engine oil level, or add oil. 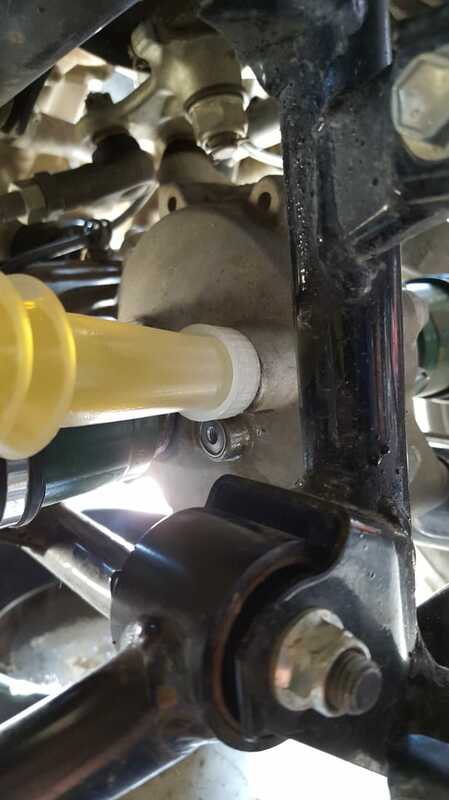 When checking the oil level, do not thread the dip stick in - this varies from model to model. The side panel is easily removed with these push pins. Simply use a screw drive to pull the insert part way out, then remove the whole thing. Now that the oil filter is installed, Re-Install the drain plug and add oil. This engine will take about 2.7 Quarts. So you should have at least 3 bottles on hand. This engine shares the oil with the transmissions and has a wet clutch that is lubricated by the engine oil. An oil that is rated for the wet clutch must be selected. 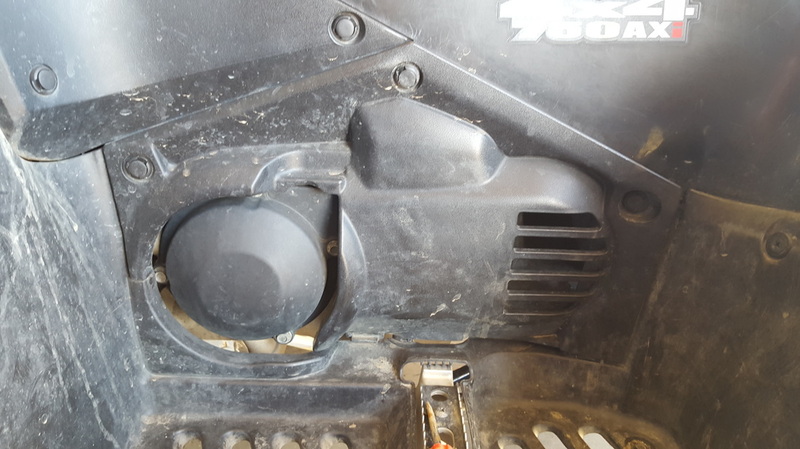 The differentials on an ATV are very often neglected. Many owners never change the differential fluid. I suggest changing it at every oil change interval, and it is an impotant part of the service procedure. Remember that the Differentials transfer all of the engines horsepower to the wheels. They are working just as hard as the engine, Especially if you are an aggresive rider. Differentials are also subject to water contamination if you operate in wet conditions, or are a fun of mud! So its a good idea to make sure they have fresh oil regularly. Though it is not required, I like to take off this guard to give you a little bit more room to work with. it is only held in place with two bolts making it easy to remove and install. While you are here, inspct your CV Boots. 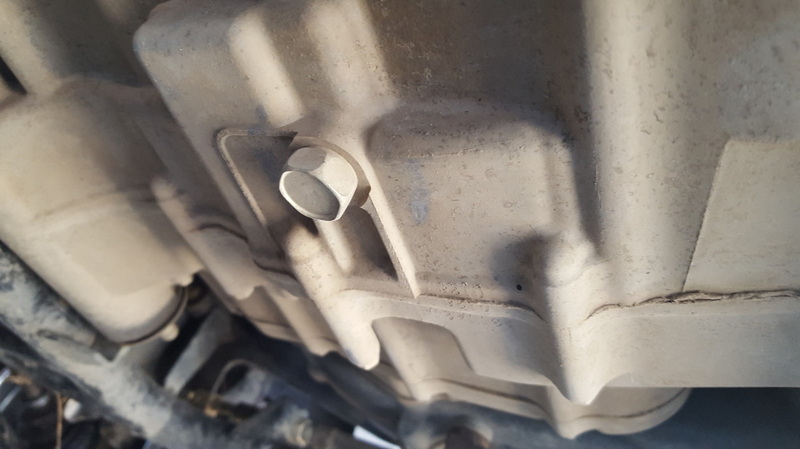 The Front differential actually has the plugs in it.On the bottom of course is the drain plug, which has a magnet to collect metal shavings. The fill plug is the large plug in front of the CV Shaft. and right underneath the full plug is the oil fill indicator. Lets locate and pull the drain plug. This is easiest with he skid plate removed. 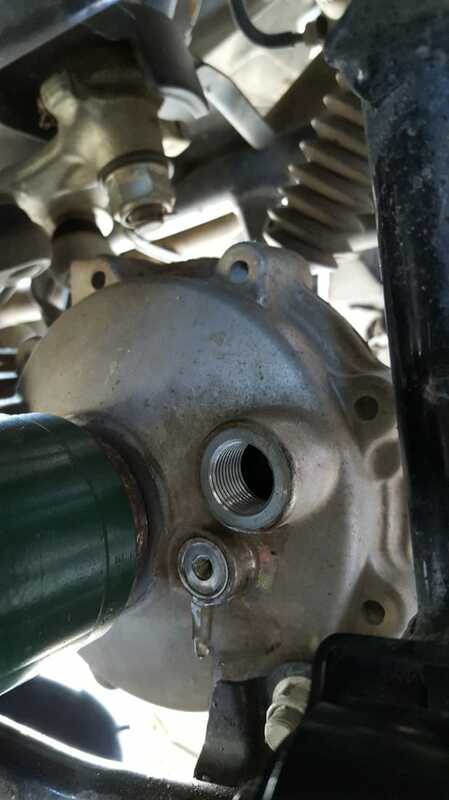 The large plug threading straight into the differential is the drain plug. 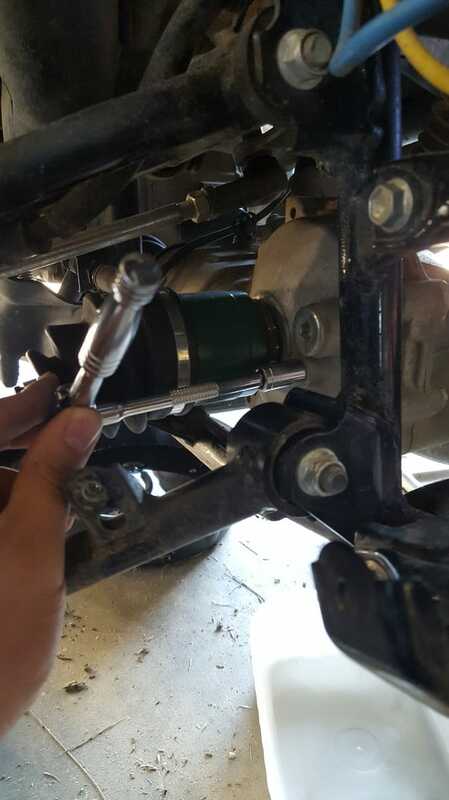 DO NOT Remove the side bolts holding the differential together. You will need a drain pan to collect the used oil. Milky or grey oil indicates water contamination. Gear oil is thick. It will drain faster if you will the other plugs to vent. The Magnet collects metal Shavings inside the differential. Fine Shavings like this are normal. No need to worry unless you find large chunks. Make sure to clean the drain plug and magnet. Again, Suzuki Recommends installing the plug with a new washer. Now that the drain plug has been cleaned and installed, remove the full plug if you have not done so yet. Also remove the full level plug. Inspect and clean all threads and washers. 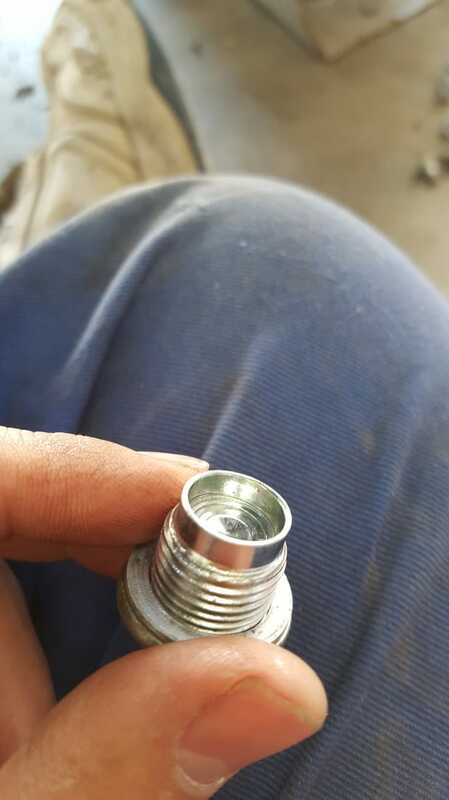 This smaller plug underneat is the fill level plug. Remove this plug as well. Both plugs need to be removed for the filling procedure. Install the fill level plug, and the the fill plug. The front differential is serviced! Here you can set up an account directly with Amsoil and save 25% on your order!